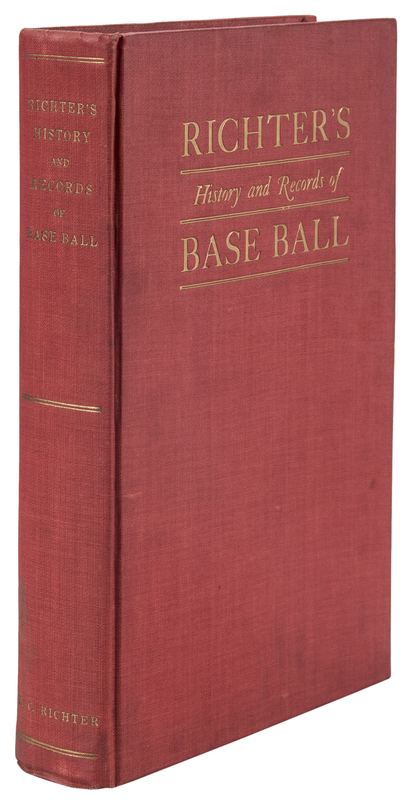 Presented here is a signed hardcover copy of Francis Richter’s 1914 book Richter’s History and Records of Baseball. Richter was the founder and editor of Sporting Life, and a very influential figure in the early days of baseball. 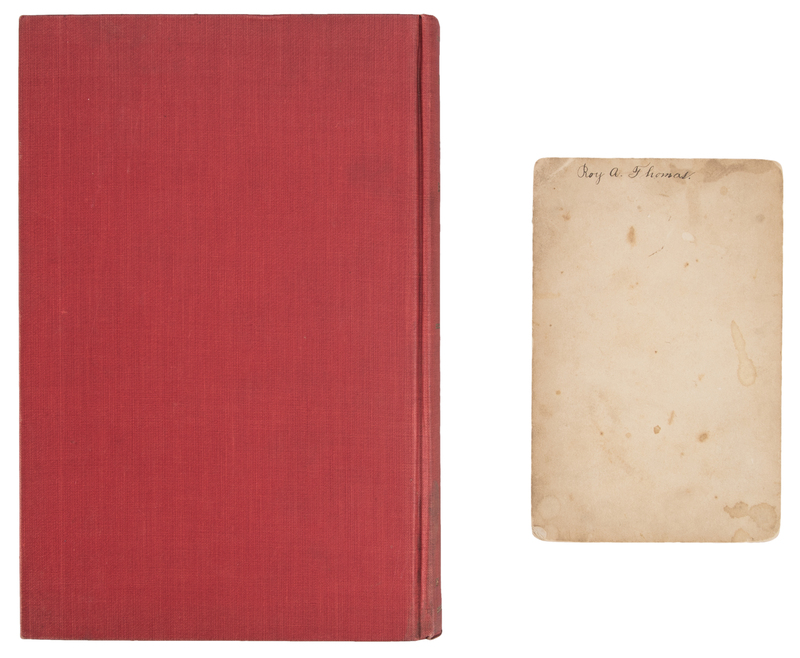 Richter has inscribed this book to Roy Thomas, a Philadelphia Phillies star in the early 1900’s and later the coach of the University of Pennsylvania baseball team. 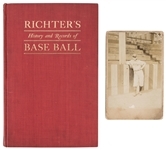 Richter inscribed “To Roy Thomas famed in both college and professional Base Ball. With the compliments of the author”. 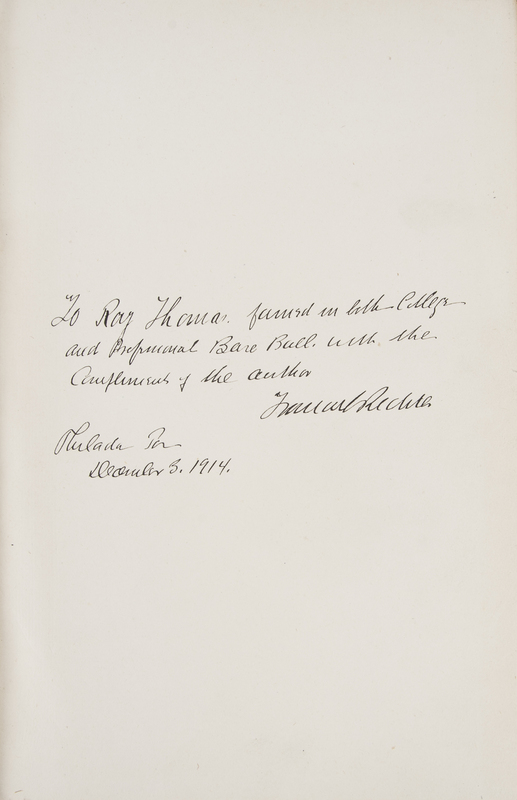 Richter dated his inscription to “December 3, 1914”. 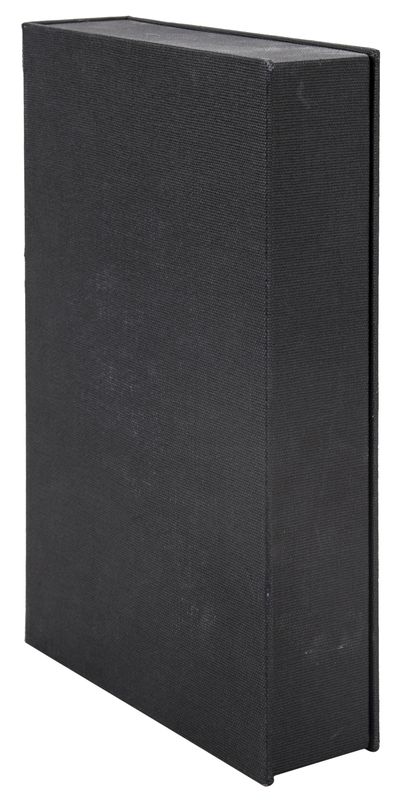 Richter has signed and inscribed this book in black pen. 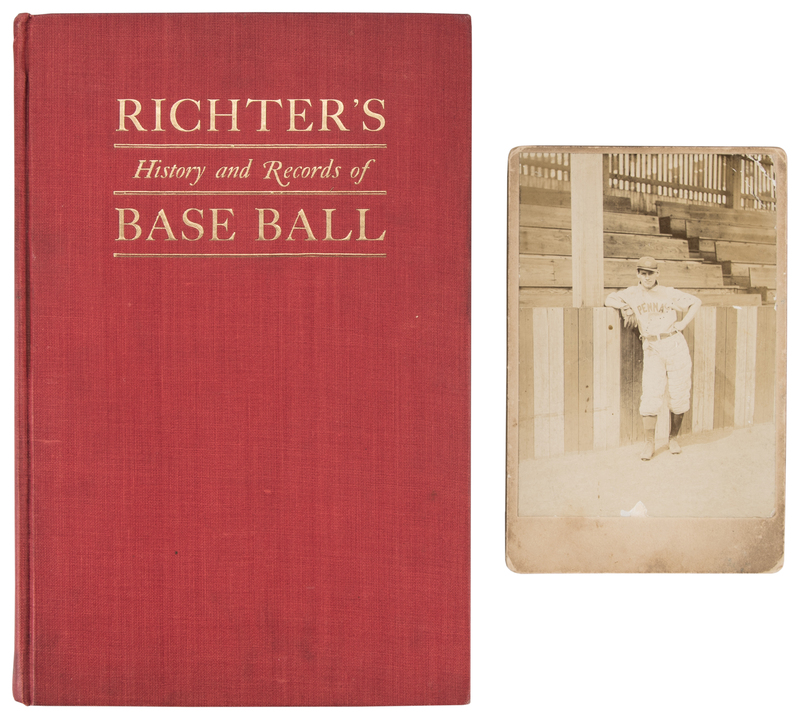 Also included in this lot is a vintage photograph of a University of Pennsylvania baseball player mounted on a 6.5 x 4.25-inch rigid backing. 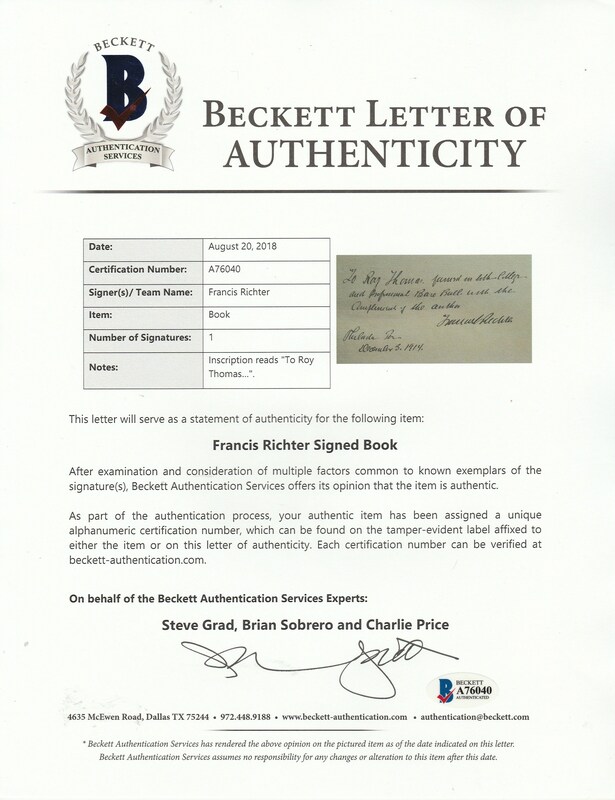 This book comes with a LOA from Steve Grad of Beckett Authentication (A76040).